The UXV 700i LE Hunter is a feature rich upgrade from the 700i LE model. 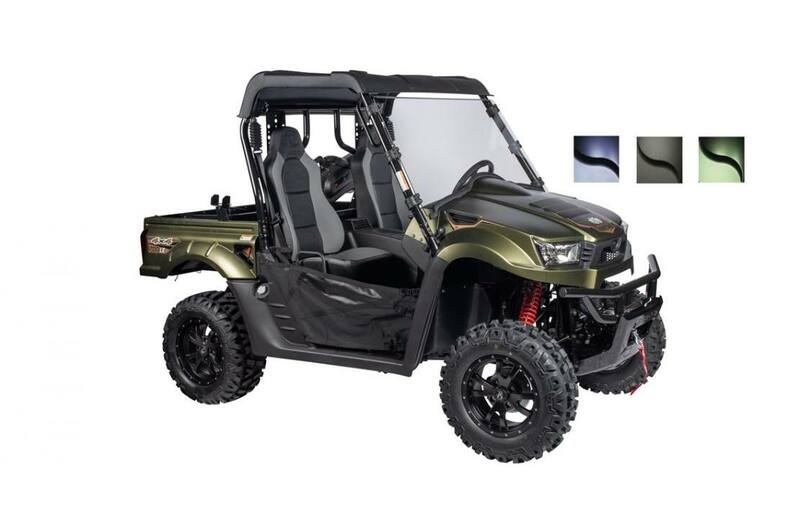 Equipped with all the items needed for work and play - a hard top, windshield, bed extender and gun boot and mount. Tackle the ever-changing landscape without worrying about having enough storage or losing gear. Instrumentation: Cluster includes a backlit speedometer with MPH/KPH selection. Gear position indicator, fuel gauge, temperature sensor, battery condition light, 2wd/4wd/diff lock indicator, high beam indicator, fault code indicator and odometer, hour meter, trip meter or clock. Claimed Dry Weight: 1218 lb. Seat Height: High-back bucket seats plus adjustable driver seat.